The August comScore mobile survey (MobiLens) is out. It measures the penetration or consumption of various mobile products and services in the US over a three month period. 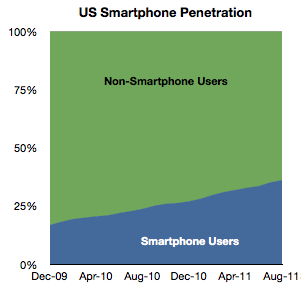 In August about 520,000 users switched to using smartphones (from non-smart phones) as their primary phone. This is a bit down sequentially from July but about average for the period starting January 2010. Penetration increased by about 1 % to 36%. Extrapolating this growth implies 50% penetration by September 2012. However growth is accelerating slightly so that tipping point may come sooner. Separately, T-Mobile reported that 75% of its device sales during this year have been smartphones, so if this is indicative of overall US market, then by next year it may in fact be quite difficult to find any non-smart phones to buy. The growth in both Android and iOS has been fairly constant for the last 18 months. But RIM shows an alarming deterioration. The company has lost 4.3 million users in the last year and is now at about the same number of users it had in late 2009. This is in a market that has more than doubled. With only about 16.5 million US users and an average loss of half a million users per month, unless something drastic happens, RIM could lose its entire US user base by the end of next year. 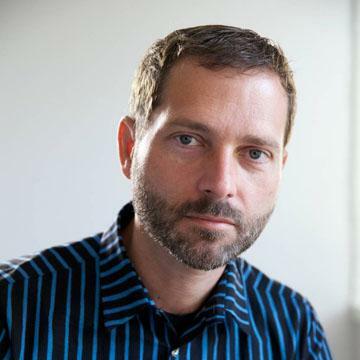 During the last month alone RIM lost 1.2 million users. Management insists that new devices will boost sales but here we’re measuring the erosion in core users, not upgrades. It’s much more likely that those 4.3 million who left BlackBerry went to other smartphones. To move from a BlackBerry to a feature phone seems very improbable to me. That means that BlackBerry’s pain is probably iPhone or Android’s gain. This sort of switch is often painful and I can only imagine that it’s done with some reluctance. All the more remarkable then that RIM could not offer incentives to stay. The BlackBerry brand is fading rapidly and brand value is very hard to re-build. 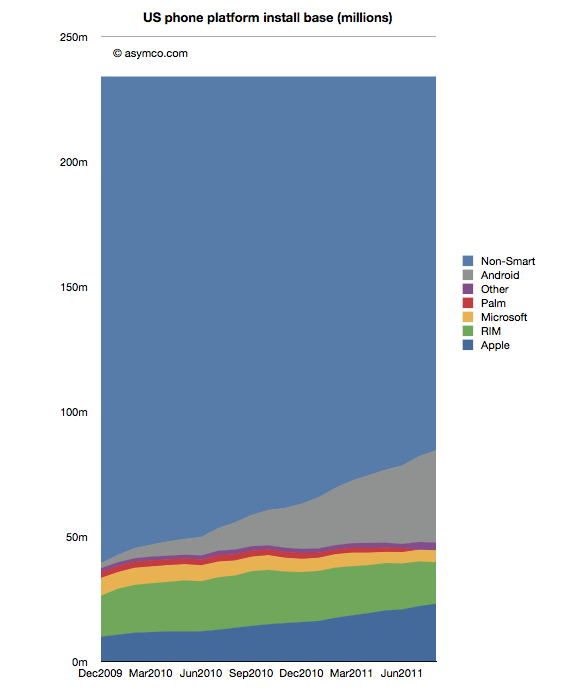 We can see platform rivalry in the installed base chart but the bigger battle is the competition with non-consumption. 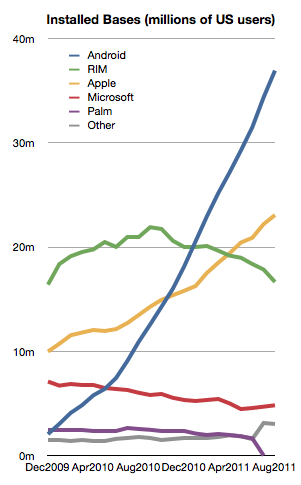 The following chart shows how overall platforms are faring as they carve up the feature phone market. There are still 150 million Americans whose primary phone is not a smartphone. The conversion of those users is happening at a consistent pace but there are many years of growth remaining. I’ve often wondered if and when this pace would moderate. I suggested perhaps at 50% there would be an inflection point as the “easy money” would already have been made. Much of that will depend on how the product (device + service) will be priced. It’s hard to get data on overall pricing. We can get some subsidized phone prices (for example now ranging from $0 to $400 for iPhone and probably similar for Android). What we don’t have is an average device+service price point for the industry. That’s what I would like to keep an eye on.